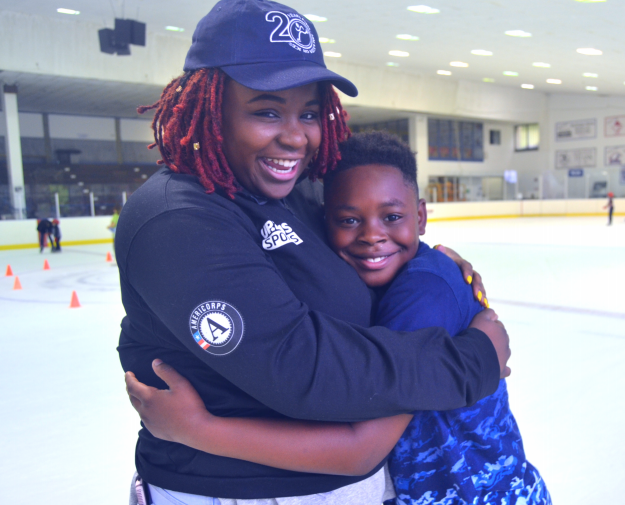 See how Up2Us Sports supporters, donors and friends came together on June 16th to celebrate service through sports. Up2Us Sports 2018 Gala Tickets Now on Sale! Join Up2Us Sports on June 14th in NYC as we celebrate the impact of national service through sports and coaching! On Monday, May 15, 2017, Up2Us Sports held its’ 5th Annual Gala, celebrating powerhouse female coaches and athletes. Up2Us Sports presented its Legacy Award to Mollie Marcoux Samaan (Director of Athletics at Princeton University) and Angela Ruggiero (four-time Olympic medalist in women’s ice hockey), who was unfortunately not able to attend due to a family emergency, but who was honored just the same. Join us as we celebrate groundbreaking coaches and athletes who are leading the elevation of women's sports!